Bad breath, also known as halitosis, is an embarrassing problem that affects many people across the nation. Dr. Derek B. Hauser, DDS, of Lakefront Family Dentistry, is a well-known cosmetic dentist and CEREC dentist serving families in Temecula, California, for over 20 years. We’ve helped change lives by restoring confident smiles to many across the Inland Empire. Is halitosis a problem for you or a loved one? If so, it may come as a surprise to learn that this is a problem affecting millions of Americans. According to a report published by the Journal of American Dental Association, 50% of people in the United States have offensive mouth odors! Whether You Desire a New Crown, Veneer, White Filling or Any Other Dental Procedure, You Can See Dr. Hauser is Very Experienced in Transforming Smiles and Confidence! Call us at (951) 244-9495 and schedule an appointment with Dr. Hauser to learn how we help restore beautiful smiles! Or make an appointment online today. There are many causes of foul smells emanating from the mouth. Certain medications and medical disorders may be contributing factors, but the most common causes can be easily prevented. Dr. Hauser is an excellent family dentist who is deeply committed to meeting our patients’ needs. When visiting Lakefront Family Dentistry, expect to always be greeted by friendly, knowledgeable staff. We genuinely care about your concerns and understand what patients are looking for when trusting us with their oral care needs. Certain foods digested through the blood stream produce malodorous gasses, smelled when exhaled through the mouth. Solution: Avoid certain foods, such as, garlic, onions, peppers, coffee, and alcohol. It’s extremely important not to let food and other harmful bacteria remain in the mouth and teeth. Dr. Hauser recommends brushing for 2 minutes at least 2 times a day. Failure to do so increases the risk for food and infectious bacteria to cause harmful plaque and tooth decay. Solution: Most benefit is gained when we brush a minimum of twice daily. Doing this, along with flossing after meals, greatly increases the chances of maintaining fresh, healthy smiles. Periodontal disease affects nearly 50% of American adults. Left alone, decaying food and infectious bacteria in the mouth are direct contributors to pungent, chronic oral problems. Solution: People who visit their licensed, qualified dentist, like Dr. Hauser, for preventive exams and professional teeth cleaning have less risk of developing gum disease. Make sure to visit us at Lakefront Family Dentistry every 6 months to help continually promote healthy, bright smiles for the entire family. Everyone knows cigarettes have harmful health effects. Yet, it’s an addiction affecting the lives of millions across the nation. Inhaling smoke through the lungs and exhaling through the mouth leaves behind chemical residue in the nose and mouth that produces a malodorous smell. Solution: Avoid smoking at all costs. Contact your primary medical care provider to discuss treatment options for nicotine addiction. 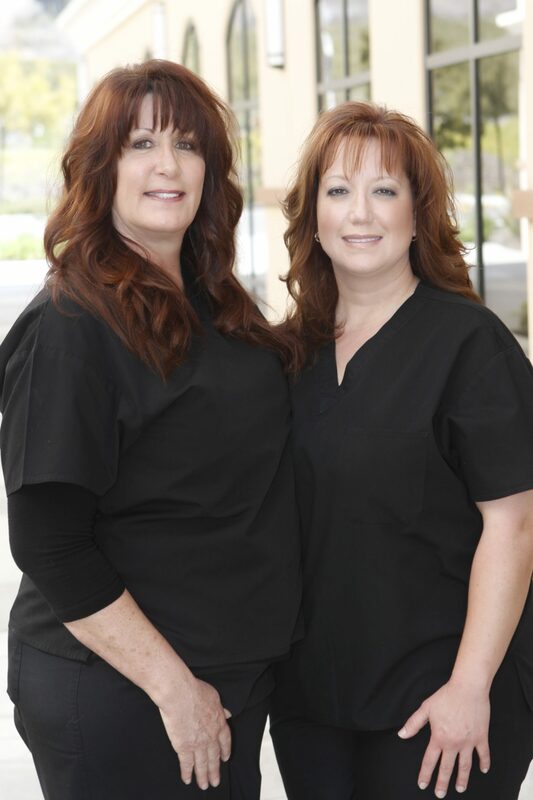 There are many dentists in the Inland Empire to choose from, and Dr. Hauser is well-known as a leader in our area by providing excellent preventive maintenance and advanced cosmetic dentistry solutions for 20 years. 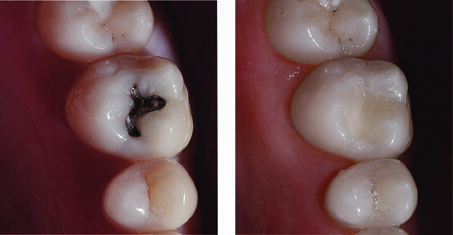 Thinking of Replacing that Old Amalgam with a New, White Filling? You Can See How Dr. Hauser Matches Your Surrounding Teeth Perfectly. If chronic bad breath is a concern, Dr. Hauser will help by addressing the root cause and determining the best solution to prevent continued reoccurrence. It’s an embarrassing problem that affects the lives of millions every day that can often be easily resolved if properly addressed. When visiting Lakefront Family Dentistry, you can expect to be greeted by warm, friendly and knowledgeable staff. Most of our office staff has worked with Dr. Hauser for a decade or more, and we focus on providing top-notch, quality care. We set ourselves apart from most providers, evidenced from the moment our patients walk through our doors. Our office décor was thoughtfully designed to create a warm and inviting ambience. In fact, Dr. Hauser personally hand-picked the best décor and dental furniture to assure you and your family receives premium treatment while in our care. Dr. Hauser is one of few dentists in Riverside County offering same-day porcelain crowns, bridges and veneers, by way of the revolutionary CEREC system. This advanced technology uses 3D software imaging combined with premium grade computer aided manufacturing equipment to create flawless, porcelain teeth in minutes. Learn all about CEREC technology and how it has revolutionized cosmetic dentistry! Learn why families all across the Inland Empire seek and continually refer the services offered by Dr. Hauser at Lakefront Family Dentistry to family members and friends. We look forward to meeting you. Please call (951) 244-9495 and schedule an appointment with the leading dentist in the Temecula, CA, area. You can also make an appointment online with us today!